MSI’s new expansion helps provide official support in more locations and highlights MSI’s dedication to the Indian market.With even more local knowledge and personnel, MSI is dedicated to the goal of maintaining customer gaming gear to the highest possible standard. To highlight their devotion to being a leader in gaming notebooks, MSI is offering free upgrade services and end of year cleanup until January 2017! Working hours of 9:30AM to 6:30 PM Monday through Saturday give a wide window of availability to fit customer’s busy schedules and the toll free hotline and email address give plenty of ways to get fast reliable service.In order to customize the service in each area and decrease searching and wait times, MSI and Regenersis are eager to open new centers in a variety of locations. The 10 cities: Mumbai (x2), Delhi, Bangalore, Hyderabad, Chennai, Pune, Ahmedabad, Kolkata, Chandigarh, and Lucknow provide 11 new service centers across India.As a special promotion, MSI would like to kindly offer an introductory offer as a way to say thank you and to let users know where to go if the need arises. From now until the end of January 2017, all MSI notebooks can receive one or both of the following free services, which is free upgrade and end-of-year cleanup, provided, two-year warranty for all gaming series. Seagate Technology plc launched the industry’s fastest and highest-performing hard drive—the Seagate® Enterprise Performance 15K HDD v6. 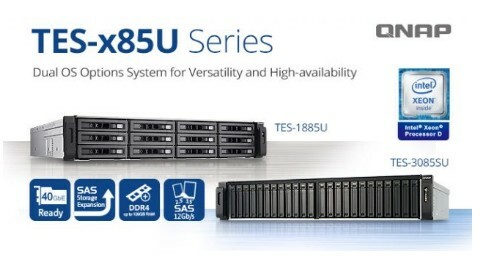 Featuring capacities up to 900GB, the drive optimizes mission critical workloads by delivering the industry’s highest data performance (up to 315MB/s sustained transfer rate), enabling enterprise and cloud customers to move critical data where it’s needed fast to ensure smooth and seamless connected experiences for business, organization and consumer users—all while lowering total cost of ownership through high reliability, security and easy data center integration. Hitachi Data Systems (HDS) announced new systems and software designed to deliver better customer experiences and return on investments. Powered by the next generation of Hitachi Storage Virtualization Operating System (SVOS) and backed by a 100% data availability guarantee, the expanded Hitachi Virtual Storage Platform (VSP) lineup delivers performance, resiliency and workload scalability beyond what is offered by other platforms. In today’s digital economy, it is critical that customers receive information in real time and that businesses recognize maximum cost-efficiency from their operations. To meet these needs, the new SVOS 7 has been engineered with an improved flash-aware I/O stack and selectable data services like Quality of Service (QoS, Adaptive data reduction and Cloud tiering for all-flash VSP F series. For businesses looking to transition to all-flash over time, HDS offers the new VSP G1500, which offers 4.8M IOPS – a 20% improvement over VSP G1000. PNY is leading the fight against counterfeiting market by investing in anti-fake technology and releasing its special line of anti-fake USB flash drives and is proud to announce the line of HP USB flash drives which incorporates unique electronic plating after printing technique to differentiate between counterfeits and our genuine PNY products. Counterfeiting is a serious criminal offence and illegal production and distribution of major brands like PNY are subjected to it. These fake products can cheat you out of your money, damage your cherishing data files, and provide you with performance that can't compare to genuine PNY products. Each of the HP Flash Drives undergo careful manufacturing and feature unique HP engraved logo imprinted with electronic plating technique, all done by skilled engineers under PNY Technologies. PNY technologies is constantly striving to protect you from counterfeiters with new security measures and inventive methods to ensure that you receive our best and original products and continue our extended services to our consumers. 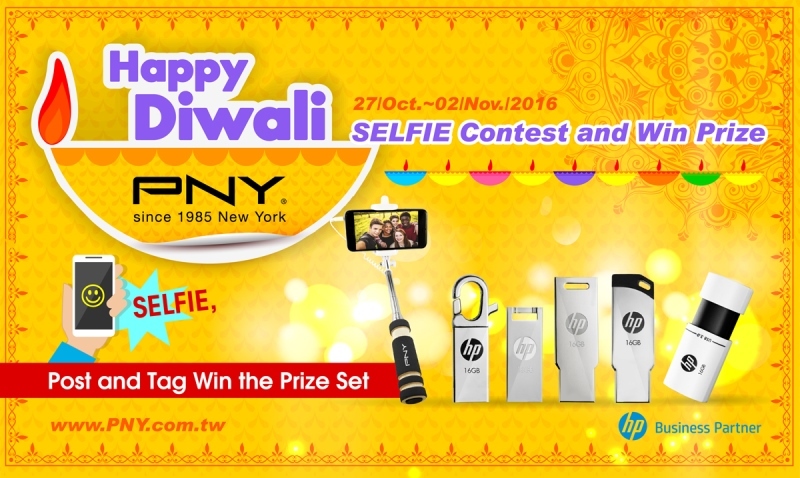 PNY celebrates the joyous festival of lights this year with the Grand Diwali Selfie Contest for their worldwide Facebook fans. PNY Technologies, considered one of the worldwide leaders in consumer electronics market and flash memory products, wishes all its Facebook fans a very Happy Diwali, and to mark this special occasion, is giving away special selfie gift sets for the contest winners. This year’s Diwali gift set includes the 32GB UFD+ selfie stick (1 set) and 16GB UFD+ Selfie stick (7 sets). Eight lucky winners get a chance to win these exciting gift hampers and also showcase their best Diwali selfie moments to the world. 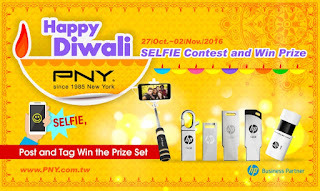 To enter the contest, visit the PNY India Fan Page at https://www.facebook.com/PNYId/ and like PNY’s Diwali Selfie Contest post on our page. Upload your favorite Diwali celebration selfie photo and tag one of your friends on Facebook and set up your post to public. The best Diwali selfies will be selected and the winners will also be declared in our Facebook page on 07/Nov. The contest starts from 27th October and ends at 2nd Nov 2016, so hurry, take part and get the chance to win the perfect Diwali gift from PNY. *One account can participate only once and have one chance to draw. *Winner list will be announced on the 07th of Nov, 2016. *The prizes will be delivered to our lucky winners within 30 working days. INNO3D introduces its new family of INNO3D GeForce GTX 1050 and GeForce GTX 1050 Ti graphics cards in India through Abacus Peripherals Pvt. Ltd. 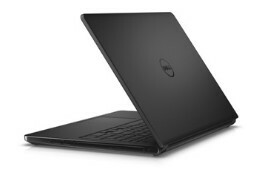 The features of this new launch includes, improving performance and power efficiency over previous-generation GPUs. The INNO3D GeForce GTX 1050 family lets the gamer now enjoy fast, smooth game play, supporting the latest DirectX 12 features in both classic and modern games at even 1080p @ 60 fps. Stanley Wong, General Manager at INNO3D comments, “We have made sure that all the wonderful innovation and technology that went into this GPU also comes out by designing an ultra-efficient and silent cooling solution. Gamers can now enjoy the best of both worlds in optimized graphics performance; low noise while staying optimal cool with our iChiLL fan coolers”. HyperX solidifying its commitment to create quality gaming gear for everyone with the launch of the HyperX Cloud Stinger gaming headset, designed to make even the most casual gamer feel like a pro. The HyperX Cloud Stinger features HyperX signature memory foam and 50mm directional drivers to deliver a comfortable, high-quality sound experience and will be exclusively available on Amazon India for a month. The stinger weighs just 275 grams and is built with 90-degree rotating ear cups to provide hours of comfort for console and PC gaming which includes 50mm directional drivers that are tilted to position sound directly into the ear, resulting in a broader and more accurate in-game sound. 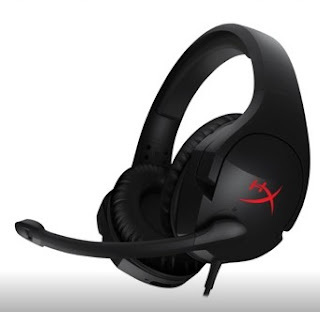 HyperX Cloud Stinger also offers a convenient set of features for game play, including a swivel to mute the microphone, an adjustable steel slider for long lasting durability, and volume controls on the headset. Ann Bai, Sales Director, APAC Region, HyperX, states, “Building on the success of HyperX Cloud Gaming Headsets designed for gamers of all skill levels, including professional eSports athletes, our new Cloud Stinger brings our quality to all players, no matter the budget or expertise. The Cloud Stinger rounds our line of Cloud Gaming Headsets to deliver consumers a broader range of premium in-game audio for gaming, music, entertainment, and more”. HyperX Cloud Stinger ensures crisp and clear audio to help gamers quickly locate rivals for game play advantage across platforms. HyperX Cloud Stinger is multi-platform compatibility out-of-the-box with PC, Xbox One, PS4, Wii U and mobile devices. This affordable gaming headset is also backed by a two-year warranty and legendary HyperX reliability. HyperX is the high-performance product division of Kingston Technology encompassing high-speed DDR4 and DDR3 memory, SSDs, USB Flash drives, headsets and mouse pads. HyperX is committed to eSports as it sponsors over 30 teams globally and is the main sponsor of Intel Extreme Masters. HyperX can be found at many shows including Brasil Game Show, China Joy, DreamHack, ESL One, and PAX. 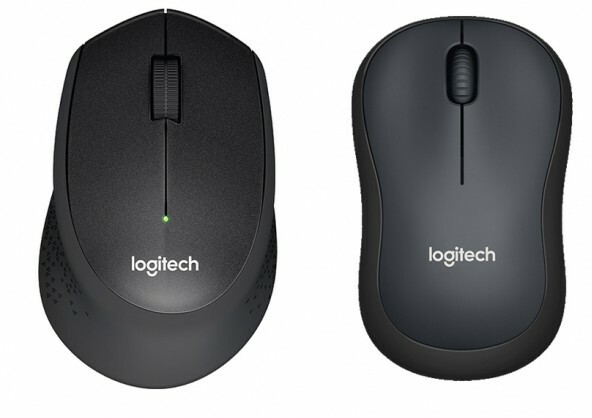 Logitech announces the launch of Logitech M221 Silent and the Logitech M331 Silent Plus wireless mice, the first quiet mice ever developed by Logitech. These two mice deliver the same precision, durability and “click” feel people have come to expect from Logitech, but with a 90 percent reduction in sound. M221 Silent and the M331 Silent Plus are the first in the world to receive the Quiet Mark seal of approval from the Noise Abatement Society, providing traditional click feel, but with over 90 percent noise reduction in the sound when compared a standard Logitech mouse. Both the mice provide a wireless connection up to 33 feet away, thanks to a plug-and-forget nano receiver, and also work with Windows, Mac, Chrome OS or Linux based computers with no hassle. 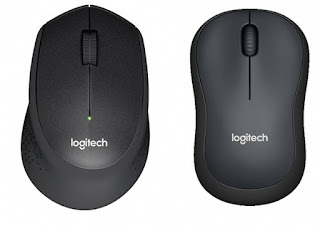 Logitech Advanced Optical Tracking has been successful in making these mice ultra-precise and works on almost every surface. The Logitech M221 Silent offers an 18-month battery life and an ambidextrous, portable design and is expected to be available at Logitech.com and in select retail stores from 15th October 2016 onwards for INR 1095/., while Logitech M331 Silent Plus features a 24-month battery, and has contoured grips made of soft rubber and is expected to be available at INR 1395/- through online and in select retail stores from 15th October 2016.. These 2 mice will be available in three color variants namely- Red, Blue and Black. Trend Micro held its Annual Channel Partner Day, which was held from 13th to 15th October, at the ITC Welcom Hotel, Jodhpur. The company unveiled its latest strategic products and solutions and market & sales insights. The solutions unveiled included: Hybrid Cloud Security: Ensuring the security and compliance of any cloud strategy, including AWS, Microsoft and VMware; Network Defense: Rapidly detect, analyze, and respond to targeted attacks and advanced threats before they unleash lasting damage; and User Protection: Secure all end users’ activity – any application, any device, anywhere. ACER announced the expansion of its retail presence in India with the inauguration of its exclusive store in Ghaziabad. The new store is strategically situated at Hans Plaza, Ambedkar Road, Ghaziabad. Having achieved a stronghold in metros, Acer is penetrating the length and breadth of the country to address the varied computing needs of its customers. The new outlet will feature the company’s entire gamut of Laptops, Desktops, Monitors and Tablets. Addressing the launch, Chandrahas Panigrahi, Sr. Director and Consumer Business Head, Acer India says, “We are delighted to inaugurate our 1st exclusive store in Ghaziabad, and second exclusive store in western Uttar Pradesh, North India has always been a mature market and we look to expand our footprints not only in metro cities but also in small towns in order to reach out to the end consumers well. It is important for consumers to experience a product and understand its benefits to make an informed purchase decision”. The exclusive store launch is a part of the company’s constant efforts to provide its customers with an interactive and informative buying experience by investing in the gamut of training sales personnel, in-store merchandising, ranging of new high end models, sales enablement and attractive offers for its products. Acer which has retail presence across India, aims to further strengthen its customer connect across the region. The company has recently launched path breaking products like the Acer Aspire Swift 7; the world’s thinnest laptop, The Predator 21X; the world’s first curved screen laptop and the ultra slim Spin series convertible laptops in the recently concluded IFA expo at Berlin. Acer has also developed robust plans focusing on marketing strategies, attractive pricing and retail expansion with an aim to enhance excitement, engagement and experiential purchase for the customer. DELL EMC unveiled new range of Data Domain protection storage appliances also expanding Unity capabilities for the modern data center as a part of its All Flash Week. DELL EMC also announced that the XtremIO All-Flash Array (AFA) has surpassed another set of customer and revenue milestones, with EMC (now part of DELL EMC) further solidifying its position as the all-flash market leader, amassing a 40% revenue share according to IDC[i], nearly 2.5x its nearest competitor. Since its November 2013 debut, XtremIO sales have continued to outpace every competitor, accumulating more than 3,000 customers and US$3 billion in total sales in less than three years, further validating its market share leadership and place as quite possibly the fastest-growing enterprise storage product ever. Customers including CNA, Vestas and The Boston Red Sox are choosing XtremIO as a key component in their modern data center strategies because of its capabilities to deliver consistent and predictable performance with sub-millisecond latencies. XtremIO arrays are purpose-built for accelerating and consolidating mixed block storage workloads such as databases, analytics, server virtual machines and virtual desktop infrastructures. The All-Flash week also saw the announcement of the launch of new products designed to help bring enterprise-class all-flash storage to a broader set of customers. Building on the proven performance and reliability of the VMAX family, the new DELL EMC VMAX 250F delivers an enterprise-class all-flash array with game-changing economics. DELL EMC is delivering improved storage economics across its entire VMAX All Flash array portfolio with its latest HYPERMAX operating system update, which now includes inline compression to increase storage efficiency. DELL EMC also introduced the new DELL EMC VPLEX for All-Flash, offering a flat license fee to move as much data, from as many appliances as required, to all-flash arrays and then to mirror that data in all-flash environments to help ensure the highest levels of data availability. Over the last decade, the mobile revolution has transformed productivity, creativity and gaming. With this transformation comes the ability to store everything in the cloud. Whilst the benefits of the cloud are undeniable, technology enthusiasts, gamers and creative professionals still want – and sometimes need – to take their digitally stored content with them on the go. 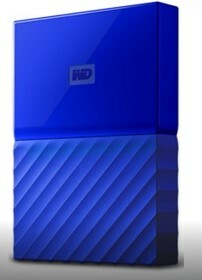 Seagate, therefore, is pleased to announce today the availability of the 2TB FireCuda and 5TB BarraCuda mobile drives. 2TB FireCuda- The 2TB FireCuda represents the fastest, thinnest and lightest 2TB hard drive on the market today, using 8GB of flash to enable rapid boot times and game load speeds. Not only does it offer unmatched performance and capacity at a great price, it includes new firmware and highly sophisticated caching algorithms that continuously analyze how a system is being used. These algorithms then get to work tweaking every aspect of FireCuda’s operations so that the drive is always perfectly synchronous with the unique way each user works and plays. It is called Multi-Tier Caching and would be like owning a smart car that continuously tunes itself up as it is driven – always performing at peak efficiency to suit both the driver and the task at hand. 5TB BarraCuda – The BarraCuda offers best-in-class versatility, performance and trusted reliability for nearly every mobile PC compute need and application. The drive will be available in a super thin 7mm mobile or laptop upgrade design and a 15mm design for external solutions, perfect for both enthusiast builders and those that want to just plug in and get going. Both products are based on Seagate’s breakthrough 2.5 inch 1TB introduced in January and are also new entries in the recently launched Guardian Series. Xander Audios has revealed its beautiful and powerful portable speaker ‘DISCO’. DISCO is a Bluetooth speaker with high-quality sound as well as the stunning visual effects which changes the interiors of the room while playing music. Disco speakers have luxurious Aluminum housing and give a great ambience to the room with their multiple lighting effects. The sleek design, specifications, and mobility of DISCO make it a perfect match to the living spaces today as well as match the user’s expectations. The portable speakers with its elegant style and performance are a feast for those who want to attain a good sound experience. Qualifying as a perfect gifting option, DISCO is truly a gold standard experience for the music lovers. To highlight few features; DISCO has built-in Bass Booster and Microphone for telephone calls. 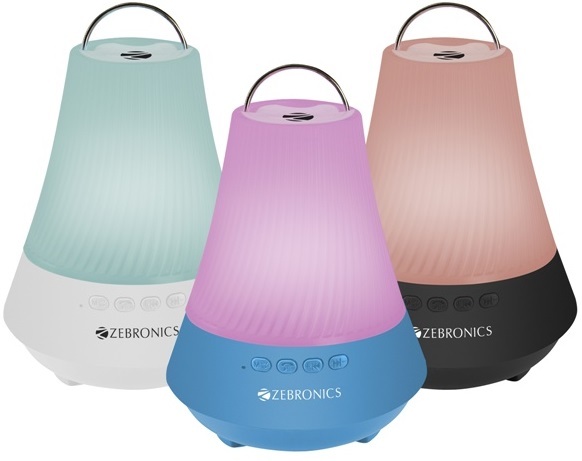 This portable Bluetooth gizmo is made for its times, as powerful as any in the category and connects easily through Micro SD card or Bluetooth technology to any device within 15 meters of its range. The other path breaking feature is its unique LED housed on the top of the speaker and it changes the ambience of the room by making it more colorful and gives it a party like theme. This super sleek & stylish speaker will be available at all leading stores, in the retail as well as online channels. PNY Technologies (PNY) considered one of the worldwide leaders in consumer electronics market and flash memory products, is proud to announce the launch of Power Bank AK-6k and AK-10k. The AK-6k and AK-10k are portable battery chargers that give you the freedom and power to re-juice while you’re out and about without the need for a wall outlet. Every smart phone owner is familiar with the dreaded experience of not having enough phone battery or drained battery during the middle of the day. Despite charging your phone to 100%, your phone decides it’s time to play dead. Chances are you’ve probably been in a situation where your phone has died at the most inopportune time. Thankfully, PNY’s power banks are present to save the day and resuscitate your smart phone’s depleted battery life. With a myriad of features including built-in LED torch, 4-level LED power indicator, multitude of safety features and dual charge ports, the AK-6k and AK-10k are the ideal power banks for your smartphones, tablets, MP3 players, cameras, or virtually any other USB powered device. These power banks come with a built-in LED torch which ensures there is light when needed, especially when there are power cuts or for navigating through the dark when outside. It is also equipped with a smart 4-level LED power indicator that indicates the battery capacity and charge level of the power bank. One charge level indicates 0-25%% power, two charge levels powers up 25-50%, three charge levels shows 50-75% charge status, four charge levels indicates a fully charged 100% status. PNY’s Power Bank is engineered to charge two devices simultaneously with dual USB ports, so you can save time and charge both your iPhone and MP3 player at the same time. The AK-10k charges 5 times faster mobile charge cycles, while the AK-6k provides 3.5 times faster charge cycle. The power banks are available in a pocket-friendly price range, with one year limited warranty on all purchased products. 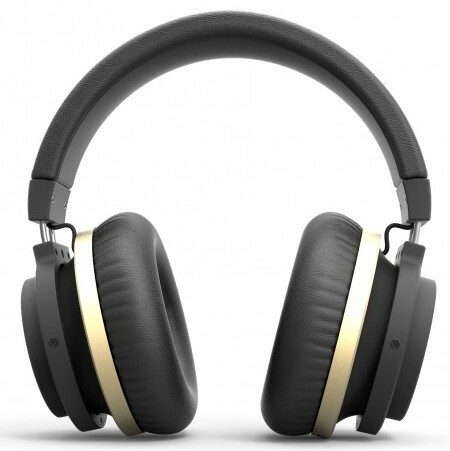 They can be purchased at local mobile gadget outlets and online stores. Cisco announced the launch of its India manufacturing operations. At the event, Cisco and the Government of Maharashtra (GoM) also announced new local strategic initiatives to help the digital transformation of the state, which includes the citywide deployment of a smart city framework to roll out Smart City solutions in the city of Nagpur, digital learning for students and skills development for local entrepreneurs in Dharavi to create an eCommerce hub, expansion of the Cisco Networking Academy program, and digital education and healthcare initiatives in Fetri village. Speaking at a press conference on September 29 in Mumbai at COM-IT, officials from the Taiwan External Trade Development Council (TAITRA) said that COMPUTEX 2017 will be a great platform for Indian companies, especially start-ups, to showcase their latest innovations and technology. “We take this opportunity to encourage Indian companies to come to Taiwan and participate in COMPUTEX 2017. This will be a great opportunity for the companies, especially start-ups, to display their innovations and also to connect with big names from the global ICT arena,” Mr. Yih-Jyh, Kang, the executive director of Exhibition Department of TAITRA, said. The Taiwan government has invited technology companies in India to be a part of COMPUTEX 2017 which is scheduled to be held in Taipei between May 30 and June 3 next year. COMPUTEX is one of the leading ICT trade shows in the world held by the Taiwan government annually. For years now, Taiwan’s ICT industry has been continuously pushing for innovation, developing local brands and emphasizing technology research and development. It has successfully proven itself as a major player in the high-tech manufacturing world and strategically positioned itself as an integral part of the consumer electronics global supply chain. Taiwan’s competitiveness in the ICT industry is drawn from its well-established production pipeline, highly experienced engineers, strong R&D capabilities, and strategic location. Years of developing partnerships with countries worldwide have given ICT vendors the knowhow to meet the needs of a variety of different cultures and markets. COMPUTEX, which was established in 1981, has witnessed the development and evolution of the global ICT industry for over35 years. With the advancement of the ICT industry, COMPUTEX is also repositioning itself to maintain its place as the indexical B2B show in the Asia-Pacific market and being Taiwan’s complete ICT supply chain and global IoT & Startup ecosystems. LIVA X has received all the positive feedback from users as well as many awards from media globally and locally after its launching. In order to fulfill more users expectations, and achieve high standard of product safety, ECS proudly announces their best-selling mini PC LIVA X become the first Mini PC acquire certificate of BIS in India, which will be available in October, 2016. With ECS’s high standard of product safety, LIVA X has passed product test from BIS recognized labs and obtained Certificate of BIS in September, 2016. “To ensure safe products for India, one of our key markets, we are devoted to obtaining this certification. We want our users can enjoy their time with LIVA without any worries,” said Rajshekhar Bhatt, Country Manager, Elite group Computer System. 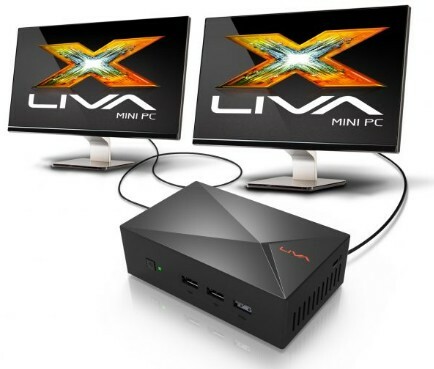 LIVA X is a fan-less design, quiet and low power consumption small-size computer. Adopting Intel Bay-Trail M SOC and 15W ultra-low power design; supporting Windows 8.1, Windows 7, Linux, and Ubuntu operating systems, as well. LIVA X supports USB 3.0 port, Wi-Fi & Bluetooth wireless connection technology. End users can upgrade storage capacity via mSATA SSD. Most importantly is LIVA X’s quality is proven by trustful registration standards. With the anticipation and excitement to have Windows-Based Mini PC, LIVA X is proud to bring you the latest Windows 10 OS (optional) to ensure you a pleasant user experience.